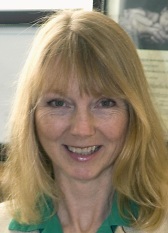 Sharalee Hoelscher holds a BA in Psychology and has been a bodyworker in private practice for 26 years. Since first being introduced to Rolfing® and Craniosacral therapy many years ago, Sharalee has been deeply committed to getting people moving freely without pain by treating the source, not the symptom. Sharalee trained as a Certified Rolfer™ with one of the few Advanced Faculty members at The Rolf Institute® and has studied with some of Dr. Rolf's original instructors. She has also taken classes in Rolf Movement® (how the body moves effectively), and has studied bodywork with Osteopaths. Sharalee was one of two non-osteopaths invited to attend an Osteopathic conference in the United Kingdom. Sharalee also completed the two-year, 700-hour program approved by the Biodynamic Craniosacral Therapy Association of North America to become a Registered Craniosacral Therapist (RCST®). She has studied Advanced Biodynamic Craniosacral Therapy and has served as a Teaching Assistant to an internationally recognized instructor of Biodynamic Craniosacral Therapy. Sharalee’s passion for offering the best in bodywork has led her to continue studying with top instructors and doctors across the country. She has worked closely with Osteopathic Physicians, Chiropractors, psychotherapists, and other health care providers. Her mission as a Rolfer and Craniosacral therapist is to gently evoke transformation towards each person’s highest potential.